.... is worth 7 in the bushes? We had quite a change in the weather yesterday, very overcast and lower temperatures, I wonder what today will bring? One good thing to come out of the drop in temperature is that it is more comfortable crafting (and I did not need the fan on, which kept blowing everything onto the floor). By now regular visitors to this blog will know that, for this month, my dear friend Lisette, aka Mrs Beez, has decided that all of her projects will feature a butterfly to show support for the charity Amy and Friends and the work they do to support children suffering from Cockayne Syndrome. Amy and Friends uses the butterfly to represent those whose lives have been cut short by this terrible illness. Mrs Beez hopes to raise awareness of the work of Amy and Friends by placing butterflies on all of her projects for the next month. I have a thing about using butterflies when I craft so I was thrilled when Mrs Beez asked me to make some cards to help her in this quest. I used Promarkers to colour this old fashioned image. 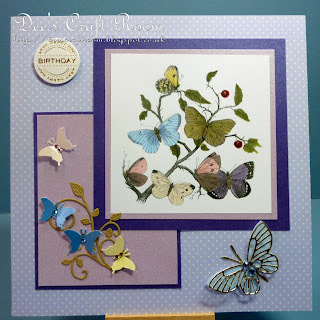 The background papers is from Dove Craft and the sentiment from Craftwork Cards. The swirly die is from Cheery Lynn and the butterfly ones are from Memory Box. The little butterflies were made with a Martha Stewart punch. Don't forget to pop over to Mrs Beez blog and find out more about Amy and Friends. Wonderful design work and gorgeous card! 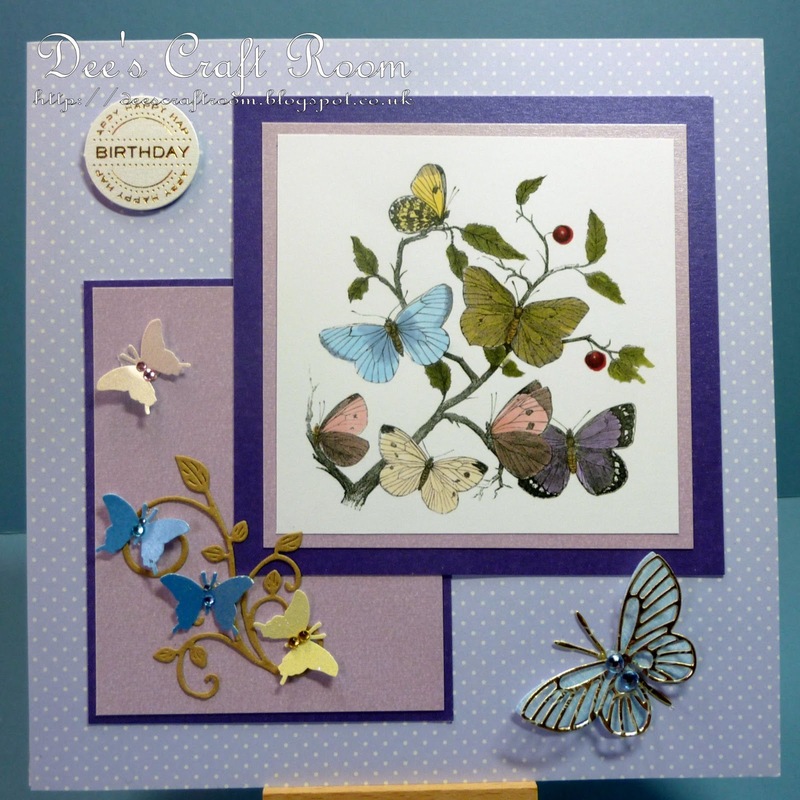 I am in a butterfly heaven with this card, Dionne. WOW, love all the butterflies! So many breeds of butterflies (LOL) yet they go together so well. Just Gorgeous!